Foreign Affairs Minister Chrystia Freeland says the Trudeau government will not extend Canada’s peacekeeping mission in Mali despite a United Nations appeal for it to stay longer. The eight Canadian helicopters and 250 military personnel in Mali are scheduled to cease operations on July 31. However, their Romanian replacements won’t be ready to take over until mid-October. 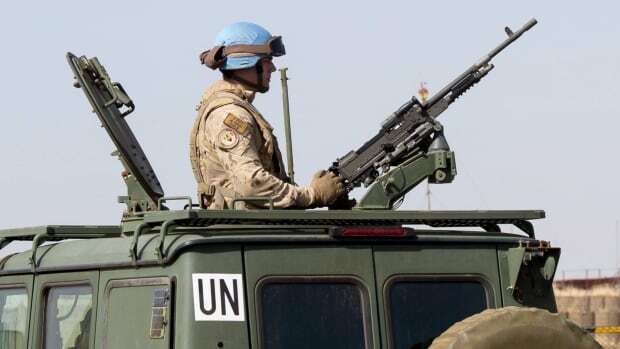 The United Nations last month formally asked Canada to stay on to prevent a gap in the provision of lifesaving medical evacuations for injured peacekeepers. Freeland wouldn’t explain why Canada is refusing to extend the mission except to say that the government is honouring its commitment to Canadians, the UN and allies. Critics have pointed to the Liberals’ refusal to extend the mission as emblematic of the government’s failure to make good on its larger promise to support the UN and peacekeeping. Freeland’s comments came at the end of a major peacekeeping summit in New York today, where Canada pledged $15 million to increase the number of women deployed on UN missions.